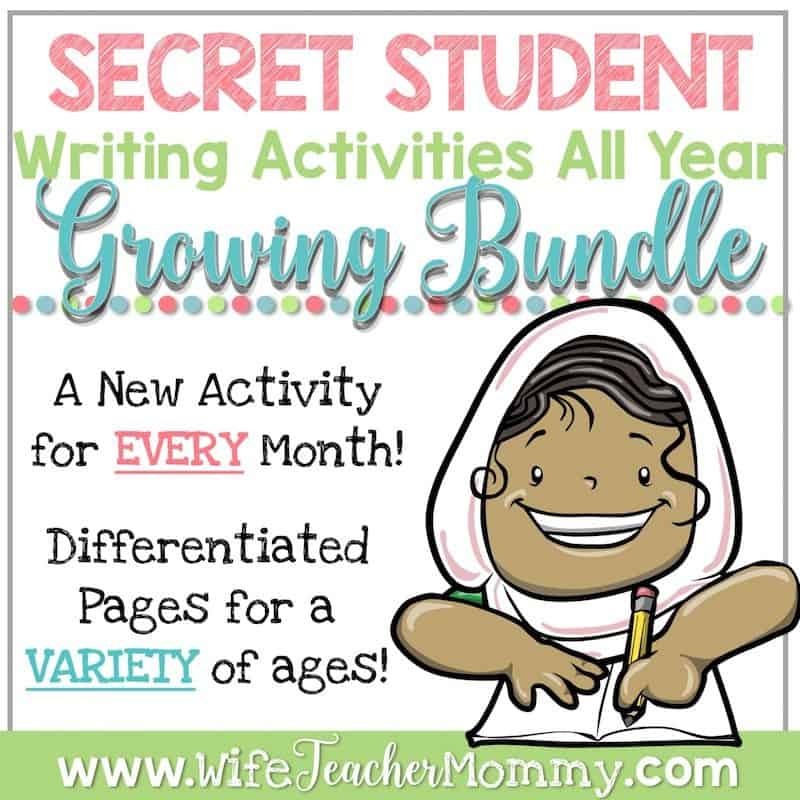 These secret student writing activities are a fun and engaging way to help your students build their writing skills. 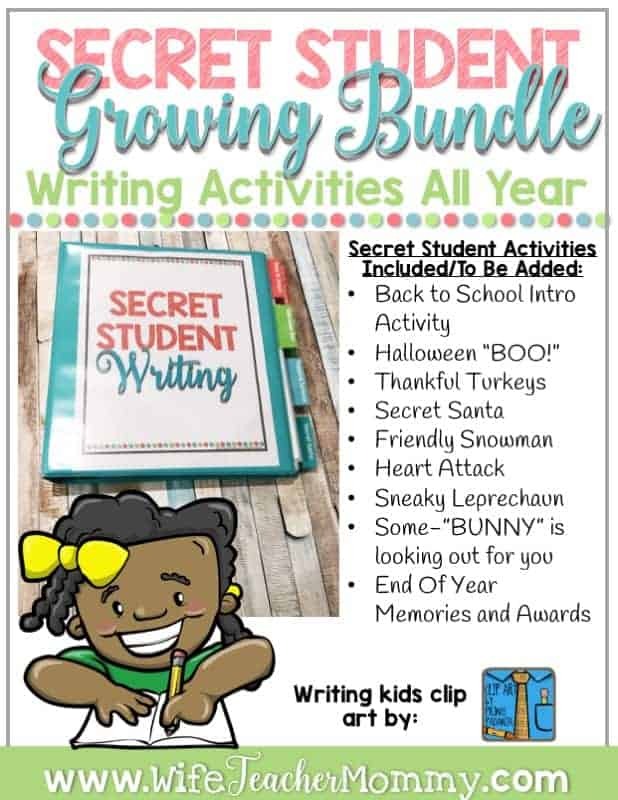 The secret student writing prompts also promote kindness and build classroom community while celebrating the holidays and seasons all year round. 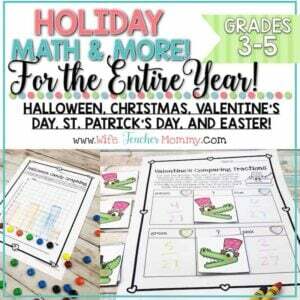 Each month introduces a new activity with a new holiday or seasonal theme. THIS IS A GROWING BUNDLE- SO THE PRICE YOU SEE RIGHT NOW IS THE LOWEST IT WILL EVER BE! PRICE WILL BE INCREASING SOON FOR THE NEW ADDITIONS! I plan on trying to complete this one as quickly as possible. The price will increase EVERY time a new set is added. Once you have purchased, you will have access to all new sets under “My Purchases” once they have been added at no extra charge. Every set will be added with plenty of time to prepare the activity. Act fast to grab the lowest price! HOW DO THE SECRET STUDENT ACTIVITIES WORK? 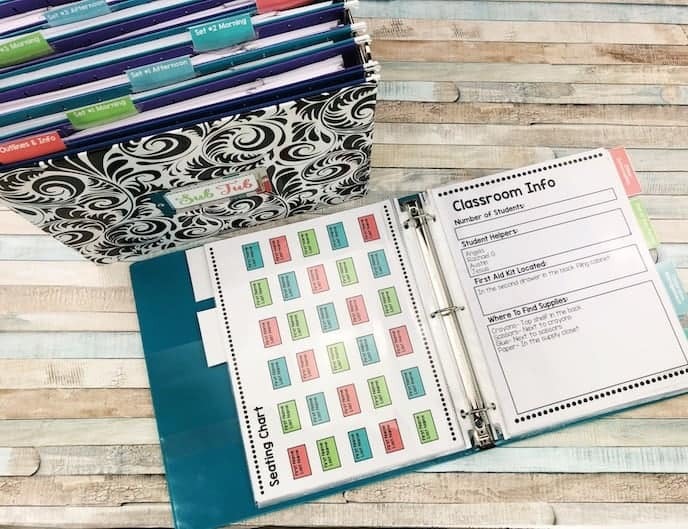 For each activity, the students will be a “Secret Student” to an assigned classmate. They will be given a variety of included writing prompts to write kind letters to their secret classmate throughout the activity. They should not tell them who they are! During this time, they should also try to do as many kind things for this person as possible, and they will report their progress to you for a few of the writing prompts. See more about these in my recent video. 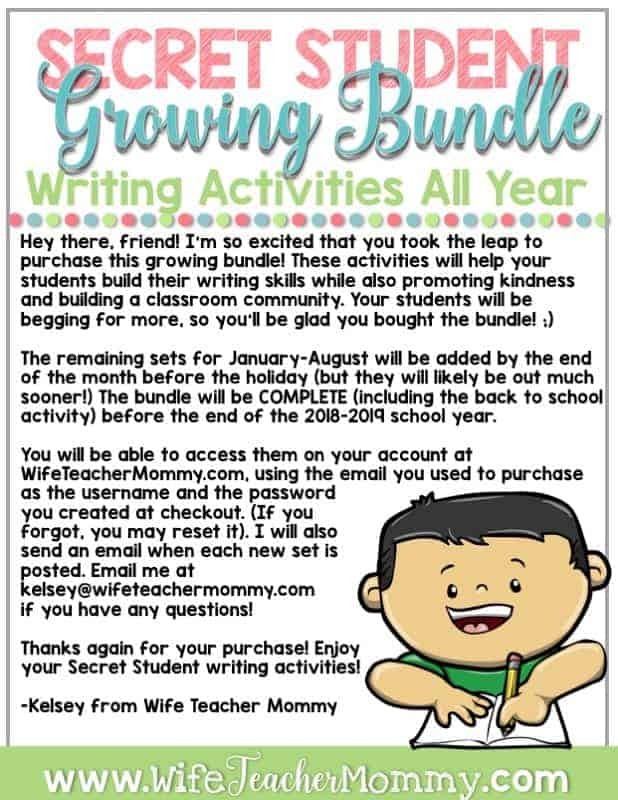 This snippet was taken from my recent Facebook Live about the new growing bundle! 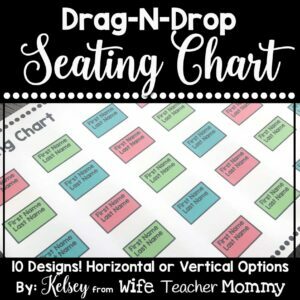 This resource will work for a wide variety of elementary classrooms. The activities are naturally differentiated, because the students will write at their own levels. Three differentiated writing pages are included as well, so you can choose which is best for your class or use a mix as you see fit. For this reason, this resource is applicable for a variety of grade levels! 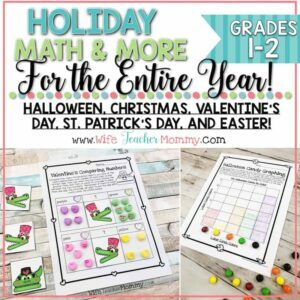 You will look forward to using these activities in your elementary classroom year after year- even if you change grade levels. It is great for inclusive classrooms as well. 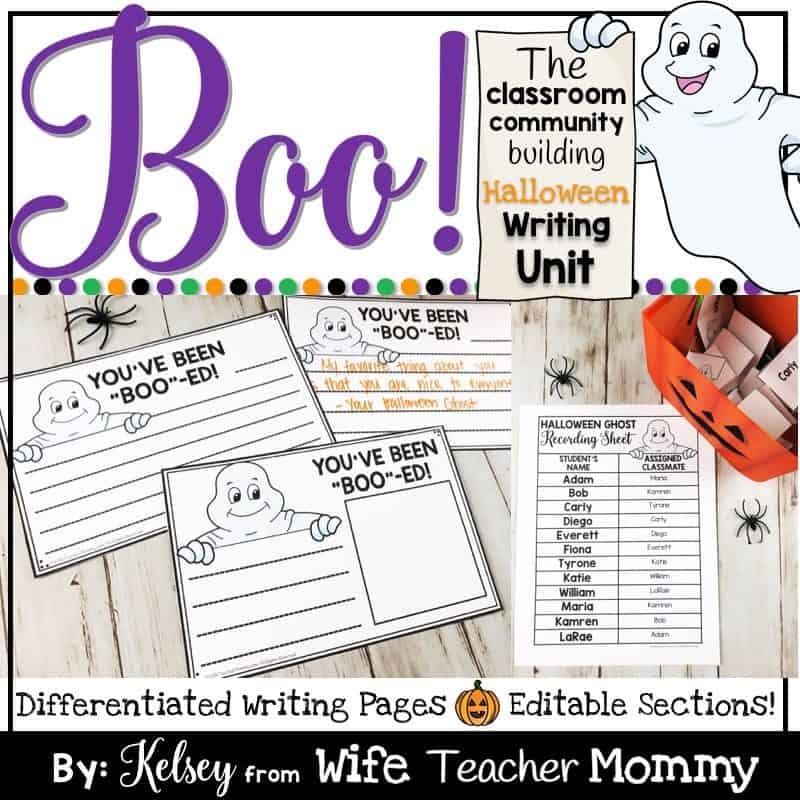 Halloween “BOO” Secret Student Writing- Already Included! 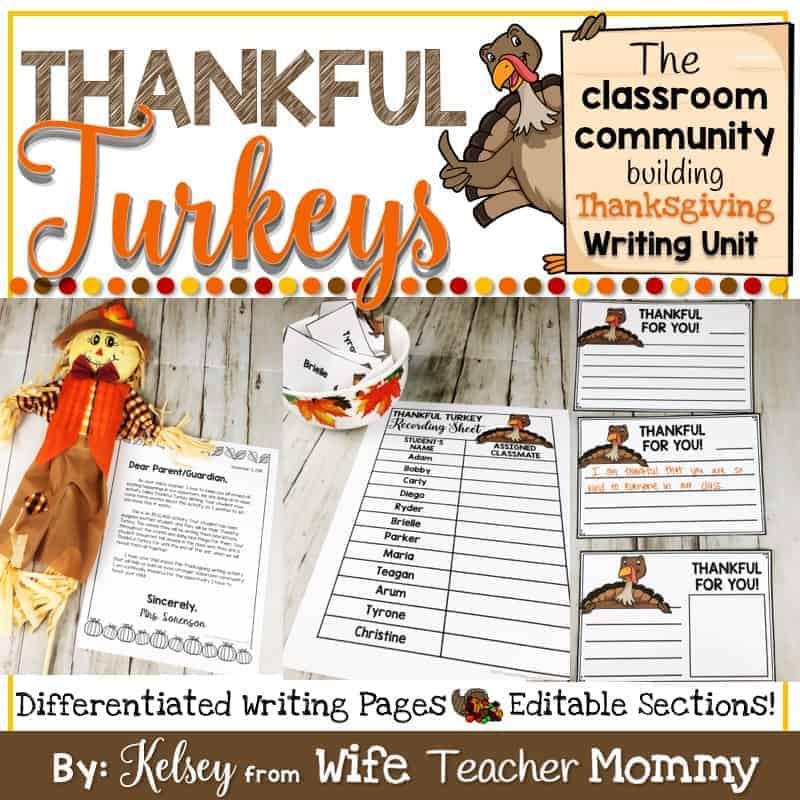 Thankful Turkey Secret Student Writing- Already Included! 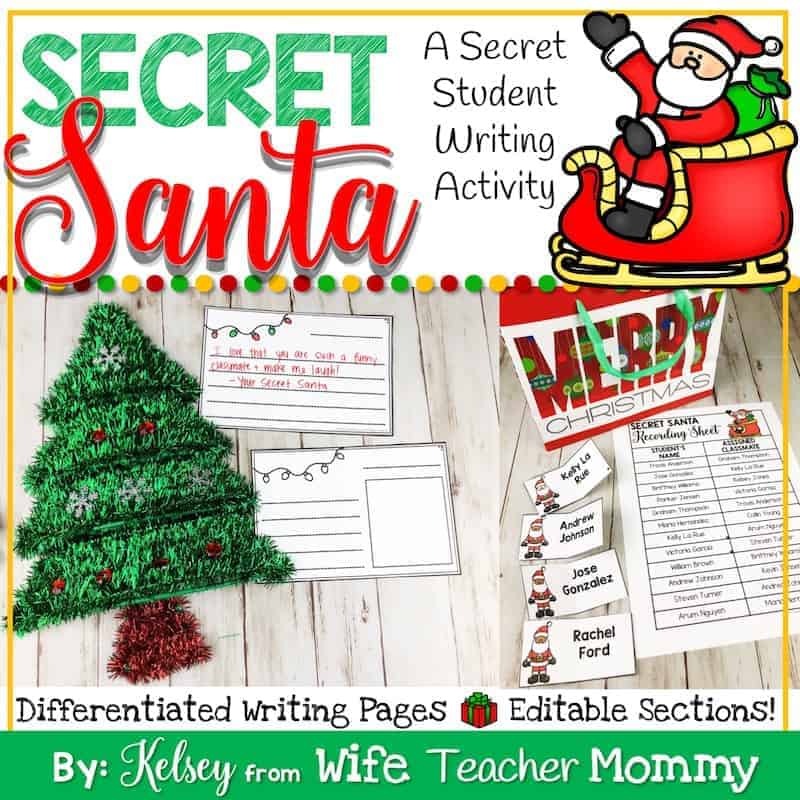 Secret Santa Writing Activity- Already Included! Friendly Snowman Secret Student Activity- Already Included- will be listed separately soon! Secret Valentine Secret Student Activity- Already Included- will be listed separately soon! Sneaky Leprechaun Secret Student Activity-Already Included- will be listed separately soon! Some-“BUNNY” is Looking Out For You-Already Included- will be listed separately soon! End of Year Memories and Awards Secret Student Activity- Coming Soon! Back To School Introductions Secret Student Activity- Coming Soon! 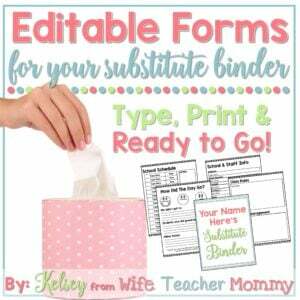 Bonus #2 will be added ONCE COMPLETED: I will also add a BONUS document with all of the pages that need to have the students names typed onto them for ALL of the completed units. You will only need to type the students’ names one time, and they will auto-populate into ALL of the activities for the whole year! 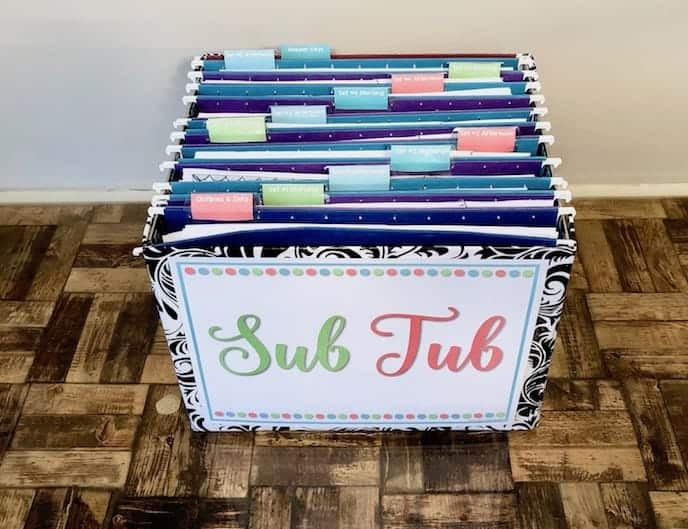 (Each set currently auto-populates students’ names throughout the unit which is still a huge time saver, but this will make it so you only have to do it once all year). You can click on the completed activities above to see an even more detailed preview of the layout of these activities! Check out what teachers have said about some of the already completed Secret Student Activities! OMG, I just looked through this bundle I have to order it! It looks so awesome now I just can’t wait until Easter!! I just bought this on TPT. I am so excited to start using it!